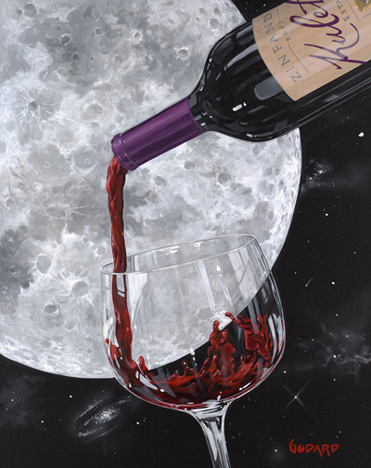 Michael Godard's sought-after sold-out work "Lover's Moon" is highly prized by collectors but very hard to find. The second painting in the series is even more beautiful than the first! Featuring Kuleto Estate Zinfandel wine from Napa Valley.